If you have any unwanted foreign coins such as Euros, Dollars, Yen, Swiss Francs, Pesetas or even old British and Irish coins then we can exchange them for you into Sterling. In fact we will exchange any foreign coins into cash here at Cash for Coins. We are specialists in exchanging any foreign coins back into sterling and we’re the trusted professionals used by private individuals, companies, schools, charities, hospitals, local authorities, attractions, banks and clubs to convert leftover foreign coins into cash – that’s why we’re the market leaders at Cash for Coins. We take great pride in our quick and attentive service and the fact that we are the leading company for changing ANY foreign currency. So whether you need to exchange USD for GBP or you have lots of Euro coins collected together, we can help. We want you to be able to get the most from the cash you have at home whether it is in note or coin form. 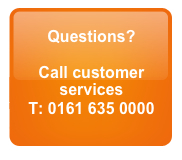 Speak to us today about the Cash for Coins experience and how we can help you. If you’ve ever tried to change foreign coins into cash you’ll know that banks and bureau de change shops won’t change coins. This is because of the huge costs involved in counting, sorting and repatriating the foreign coins back to their country of origin. However, here at Cash for Coins we will change any foreign currency into cash. Our service is fast, simple and secure – Above certain weights we’ll even collect your foreign coins for FREE – please go to ‘How to send us coins‘ for full details. It really couldn’t be easier to exchange your foreign coins and notes and our team is ready to help if you have any questions about our service. Once we have received your coins we sort and count them. We then send you (via e-mail) an offer to buy – if you accept our offer we usually pay direct to your bank account via electronic transfer in under 1 hour. In the event that you don’t accept our offer then we’ll return your coins FREE of CHARGE. To see just how delighted our customers are with our service go to our ‘customer comments’ page. We are proud of the comments we receive and many of our customers are those who have been recommended our service from others. in particular, charities benefit from our service. This is because people usually don’t mind donating leftover foreign coins as opposed to hard earned cash. We have a specialist charity team who can help advise you on the best way to make your collection as effective as possible. If you are looking for the best fundraising ideas, speak to our team today. We can help you give your charity a boost by collecting the coins that are currently going to waste. Speak to us today to find out more! If you’d like to change your foreign coins into cash then contact us here at Cash for Coins – we’d love to help you.